Our Lady of Fatima Elementary dedicated a new outdoor classroom in the memory of Greg Nolte III. Greg was the father of Will Nolte who just completed the 4th grade at OLF. Greg was a large supporter of Our Lady of Fatima Parish and School. He gave of his time and his talents to help make the elementary school a better place for the students. The school wanted a way to honor his commitment to the Our Lady of Fatima Catholic Community and decided to name the new outdoor classroom after him. Principal Cindy Hahn and School Board President Rob Myers made the official dedication to Greg’s wife Nikki and the Nolte family. 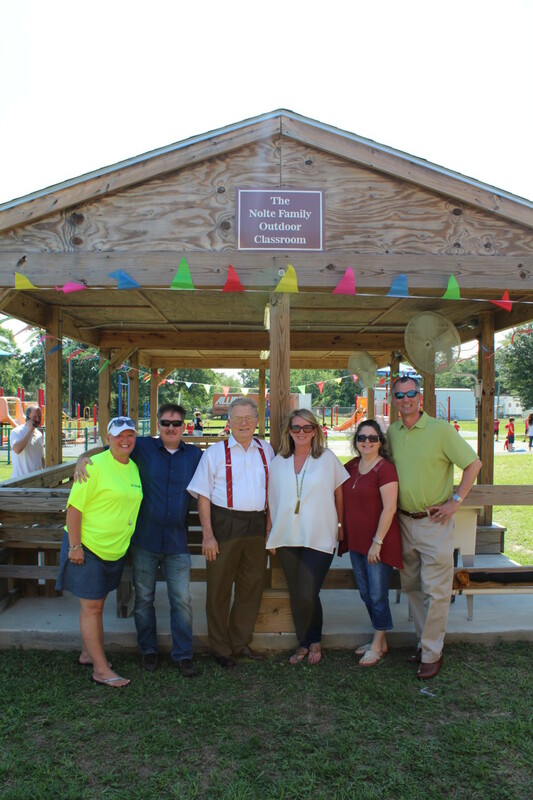 Principal Cindy Hahn, Preston Gerretse, Greg Nolte Jr., Nicki Nolte, Annette Gerretse, Rob Myers dedicate the new “Nolte Family Outdoor Classroom”.